Home is where the automated heart is. These days home automation isn't just reserved for the likes of Tony Stark, as basic control over some of your house's functions is as easy as opening a smartphone app. Whereas last year we took a look at Philip's Hue lighting system, this time we were interested in trying a product that gave the user even more control options. We found it in the Lightwave RF Home Automation range. 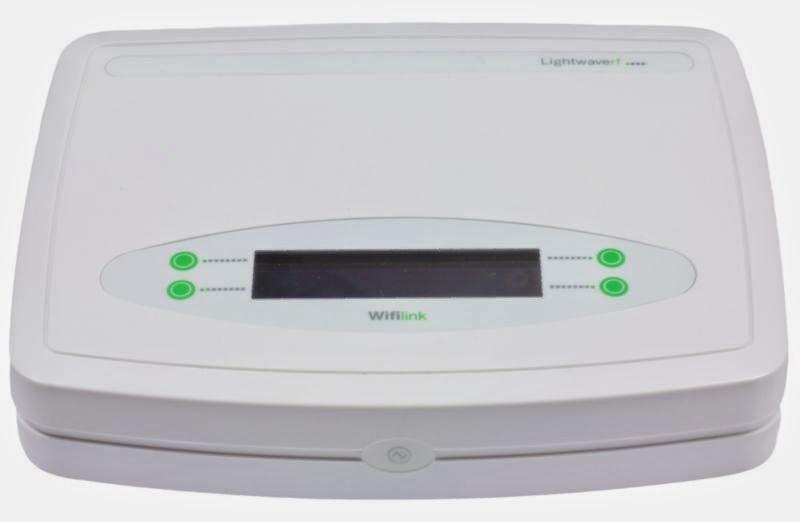 Although the name suggests control over your home's lighting system, the Lightwave RF can achieve so much more. We were lucky enough to be sent a base control unit (that which plugs straight into your wifi router), a light switch replacement panel, and a plug socket replacement panel. Installation of the base unit, the Lightwave Link, was as simple as connecting it to the router and waiting for it to display the correct time and date. The hardware products, the replacement panels, were a little trickier, due in no small part to our absolute lack of electrical knowledge. Here we give one piece of advice... READ THE DAMN INSTRUCTIONS, after all you will essentially be wiring a new piece of kit into your house's electricity supply, so don't assume you know what you're doing. Nobody wants 240 of her majesty's volts running through them. But once installed we were impressed. 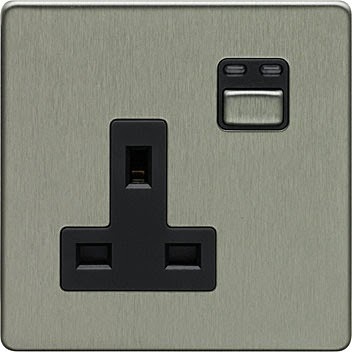 Both the switch and the plug socket (other accessories, including bulbs, are available from Lightwave) were detected by the Link base station allowing you to connect to and programme them to your heart's desire. And for that you need the app. Forget what you might have read about the Lightwave RF app being rubbish - all those reviews must have been for the older app, as the new version, updated in February of this year, is fantastic. 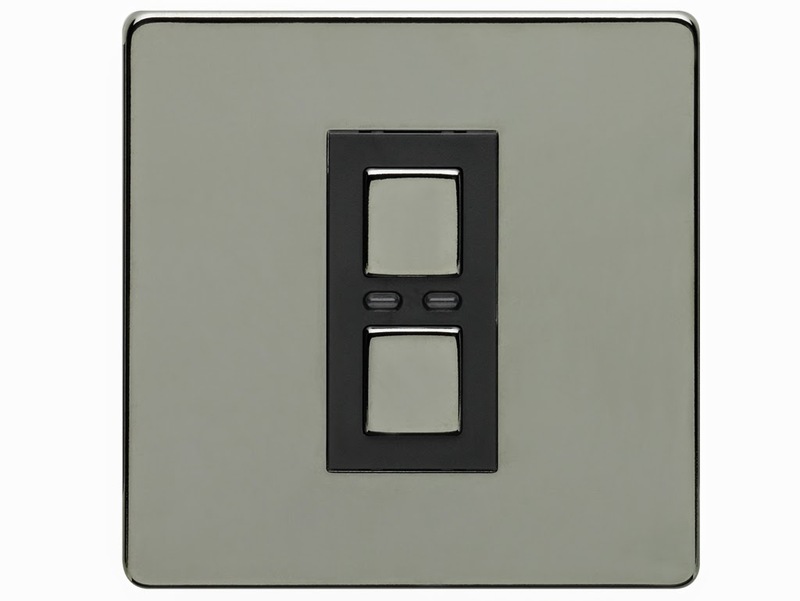 Available for both Android and iOS, the app allows you to control the dimmer function on the light switch panel, as well as timer and general on/off controls. The same applies for the plug socket, making the Lightwave RF system brilliant as a home security system as well. If you're leaving your home for a holiday this summer, not only can you set the lights to come on at various times (just like other systems, including the Hue) but with the Lightwave RF plug sockets you can even programme home appliances to spring to life, further creating the sense that someone is home. 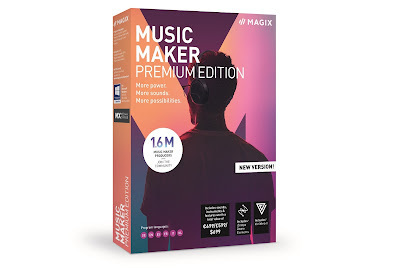 And of course, as the Lightwave Link is connected to the internet, you have control of this from anywhere in the world. 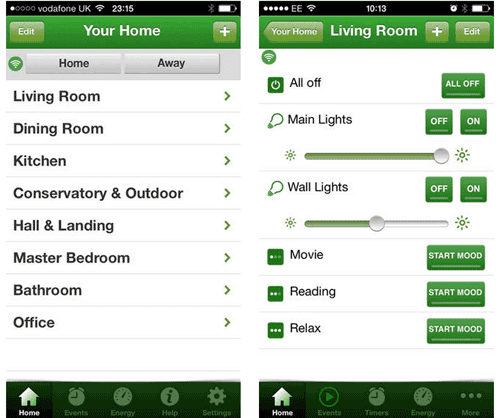 Home automation has always been a bit of daunting thing to us, as everything used to feel overly complicated. But with products like Lightwave RF coming onto the market (and at surprisingly affordable prices) it won't be long until gadgets like this are standard in all new homes. We really like the Lightwave RF system and will definitely get branching out to get other units to add to the network. With a bit of imagination, this system is perfect for anyone wanting to take those first steps into home automation.